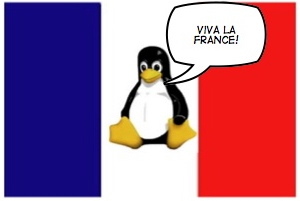 Looks like the French love their Linux. Either that or all the Vista talk scared them off. Starting in June members of the French parliament will be ditching their Windows machines for Linux. Roughly 1,154 parliamentary workstations will be running the open source OS and using OpenOffice.org software (along with Firefox as their Web browser) in an effort to save some cash. I doubt they'll be using Linutops, but this goes to show Microsoft that pretty much anything you can do with Windows, you can do (cheaper) on Linux.